Mckenzie Lacroix: Round One of Chemo-- My Day After Was Brutal! Round One of Chemo-- My Day After Was Brutal! 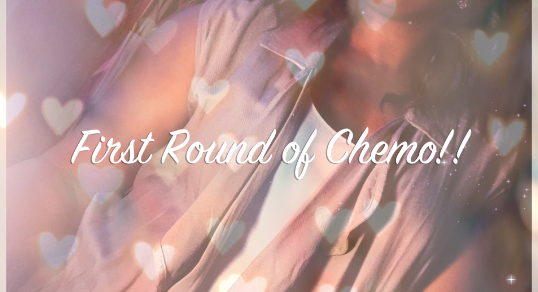 Thursday, April 6, 2017 was my first round of 6 chemotherapy rounds. Each round is to be separated by at least 21 days, giving a total of 18 weeks of chemo. 10:13 AM Left upper arm (IV arm) sore. Warm to touch (due to blanket?). Place pillow underneath arm and blood flow was checked. Before I was unhooked for the day a Neulasta OnPro was attached to my stomach. I went home feeling a tiny bit tired, but not exhausted. The day went on pretty much as usual, though I could tell that I wasn't physically up for much. My sister and nephews stopped by to check on me and I wasn't much for company. Can't really tell how much of that can be contributed to my mental or psychological state; with the realness of the diagnosis and the day's events heavy on me or how much was a true physical tiredness. I slept pretty well that night. Since leaving the fusion center and sleeping I had taken anti-nausea and steroid medications as directed and then I woke up on Friday and continued to take as directed. Friday I felt flutters of nausea but nothing that I found to be particularly bothersome. The waves were a tiny stray from normalcy. Only noticeable in the way that you come to know your body in over 30 years of existence. If I were in my teens it would have probably gone unnoticed. So, needless to say, Friday was cool. The Neulasta OnPro releases the medication 27 hours after it is attached to your body. The administration of the drug was okay. As instructed, I took Claritin about an hour before the OnPro release began (actually ended up being a bit shy of an hour). The entire experience was surreal! Thinking back on it I imagine I looked like I was in the midst of transforming from Mr. Hyde to Dr. Jekyll as I lay writhing around on my bathroom floor clutching my stomach and gulping air. The entire ordeal was not pleasant!